Within its shopfront foyer, Shop 48 provides a community information and referral service to connect individuals to the services and supports they need. The community information and support service is available during weekdays from 9am to 5pm. 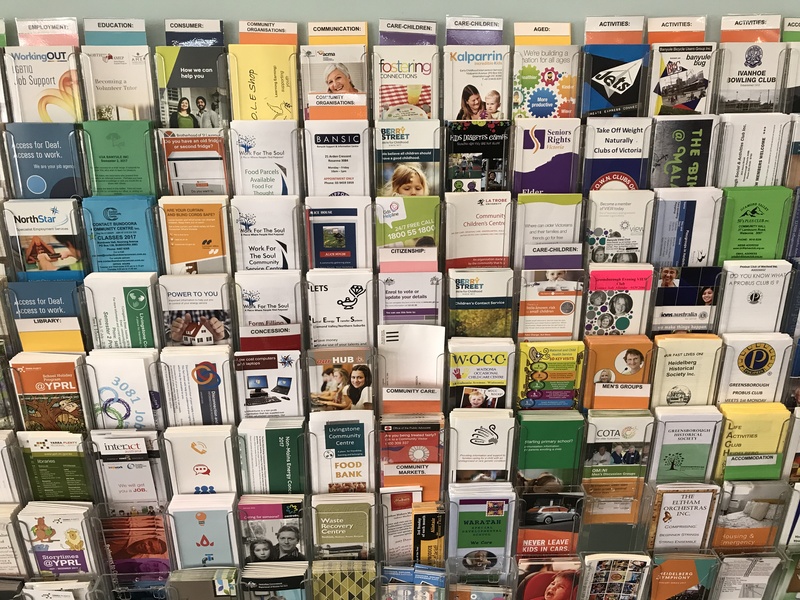 With more than 500 pamphlets on site, promoting a broad range of health and community support services, a wide range of information is available. Contact BANSIC at Shop 48 on tel:9459 5959 for more details. Emergency Relief is administered under the same principles as the core services of the agency i.e. the service is Free, Confidential, Impartial, Independent and Respects the clients’ rights to make their own decisions.